Here's a completely different post than my usual beauty and fashion entries. 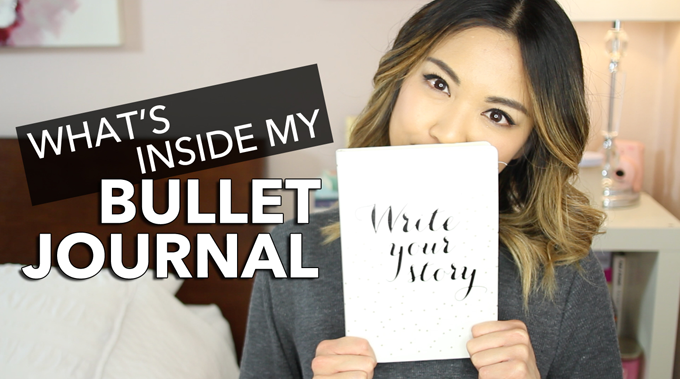 If you've been following me on Twitter or Instagram, you've probably have seen me talk about about my bullet journal. I discovered bullet journaling back in January (watch vlog here), and this has been my way of staying organized ever since. I've watched numerous bullet journal videos on Youtube and have searched bullet journal related hashtags on Instagram to learn more about it. There's also an amazing bullet journal community online that are just full of inspirations and ideas. If you're not familiar with the bullet journal system, here's a great video explaining the basics of it by the inventor of the system, Ryder Carroll. 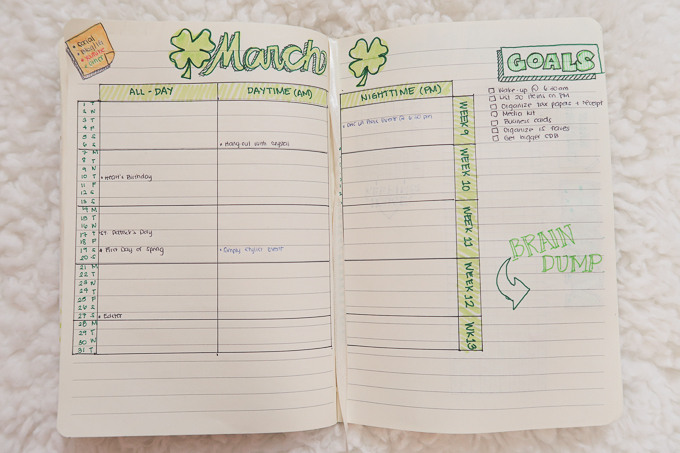 A bullet journal is an analog way to stay organized with your tasks. It's also a great tool to plan for the future and keep track of your past. I've always preferred the old fashion pen and paper when it comes to jotting things down. I tend to remember things better when I write them down as opposed to keeping them on my phone. I've always wanted to remember what I did in the past, but didn't want to write a diary entry every single day. So the bullet journal was a quick note-taking method for me to keep a log of things I want to remember. I also found the bullet journal as a great way to plan my days to stay productive. 1) I can tailor it based on my needs. 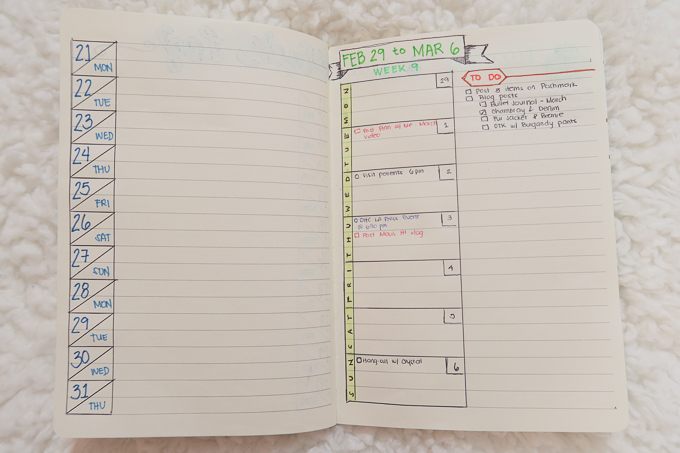 I like the idea of not being limited to the small space in the planner that I just bought to fit everything in. There's that flexibility that I can use however many pages I need in my notebook. I can also use whatever notebook and pen and not have to invest in an expensive planner or notebook just to start one. However, most bullet journalists like to use the dotted grid paper notebook by Leuchtrum or Moleskine. Not necessary, but it's preferred by most. Either way, any notebook (as you've seen from my own) really works. I can easily customize my pages to whatever collection(s) I'll find more useful with my lifestyle. 2) I can get creative with it. Since I'm starting with blank pages in my notebook, I can easily format my pages to however I want! I like to doodle and switch up my headers to add a personal touch to my notebook. 3) I have everything I need to remember in one notebook. I used to carry three different notebooks: my to-do list, my planner, and my gratitude notebook (watch my What's in my Backpack video to see what I mean). Not to mention, I had another separate notebook where I jot down any notes or ideas that come to mind. So. Many. Notebooks. I could've probably integrated everything into one notebook, really, but I couldn't figure out of the life of me how to do it that made sense until I learned about the bullet journal system. Yes, I used to bring my planner, to do list, and another notebook everywhere with me. I know, a little excessive. 4) I only have one notebook to refer to. I've been all about simplifying and making my life easier. My bullet journal is basically my one-stop shop for all my organizing and planning needs. It literally has my past, present, and future. » Gretchen Hope - Her video was the very first bullet journal video that got me addicted! I remember seeing her video on my recommendation page on YouTube and it made me want to know more about it. » Boho Berry - Another video that convinced me to start. She also has tons of useful and helpful bullet journal info and hacks on her blog. » TheCoffeeMonster - I really enjoy looking at her bullet journal layouts and doodlings. Everything is just so cute. So I've finally setup my bullet journal for the month of March. For the most part, I kept the same spreads from last month and made a few tweaks on the format. This is gives me a quick picture of what's happening for the month. This spread was inspired by Boho Berry (check out her blog because she has a lot of useful BuJo hacks). 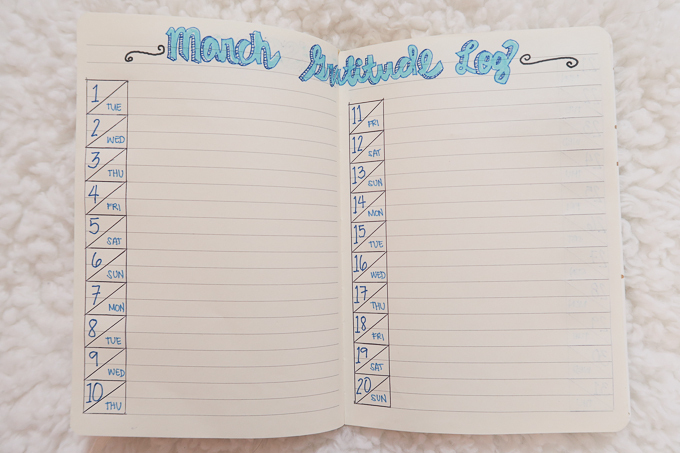 I liked the three column layout where it splits it by all-day, daytime, and night time to give you a bit more room for any important events and appointments you have for the month. I also added a goals column, so I know what I need to achieve by the end of this month. One of my favorite spreads in the bullet journal. For me, it helps to see things that I need to do more often. There's some sort psychological effect on me when I see that I haven't shaded too many boxes in my habit tracker. For example, I used to be really terrible at drinking water. I would go the whole day without drinking water sometimes. Not the healthiest thing to do, but sometimes I either just forget or don't care for it. Ever since I started my bullet journal, I've been drinking more water on the regular. It might be because I feel more accountable when I don't shade enough boxes in my dailies. The habit tracker also shows me the frequency of often I do a task. For example, if I haven't exercised in the past few days, maybe it's time for me to hit the gym. 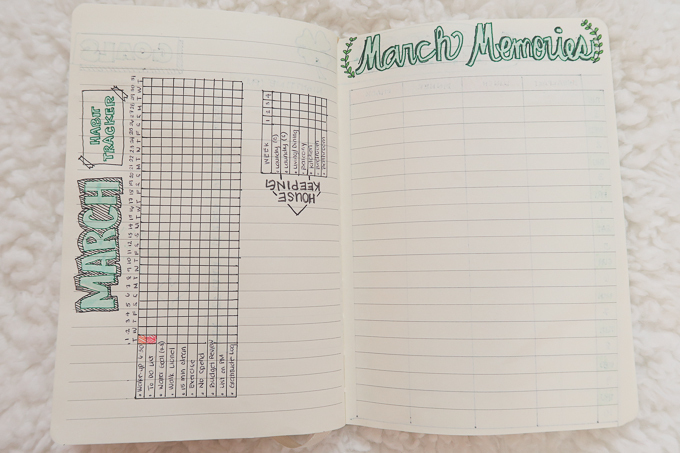 My March Memories spread is where I doodle any highlights of the month that I may want to remember. It also gives me a place to get creative with my bullet journal. 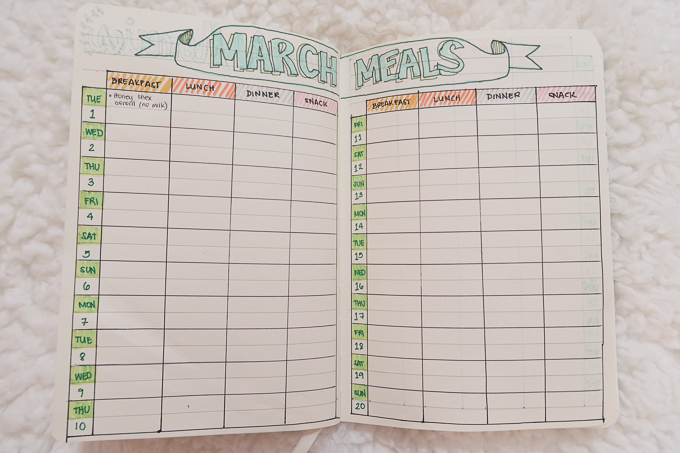 I made a little tweak on my meal log for this month. I actually liked how this one turned out since it's a bit more legible and easier to look at if I'm referring to this page. I decided that I wanted to track what I ate just so I could evaluate how I'm eating (and maybe shed some light on how badly I eat sometimes haha). Also, I can go back to this page if ever I'm stumped on what to cook next time. Sometimes I forget about certain recipes that I've tried, and this would be a good reminder of that. If you've been following this blog or my vlogs for awhile, you're probably aware of the downsizing efforts that I've been trying to do. As part of editing my closet, I've decided that I was going to list items that I'm no longer using on Poshmark. And, boy... do I have plenty of clothes and things that could sure use a new home. I've set a goal of listing ten items per month, and this is basically my inventory of the items that are up for sale. Prior to my bullet journal, I would write my workout routine on my phone for that day... if I remember. Or if I did write it down, I'd forget where in my notes on my phone I wrote them down. Or I'll just completely forever forget about it. It was a bit of a mess, and kinda difficult to track my progress or the types of work out that I do. Notice that there are no dates on these pages. The dates will be added once I've actually done the work out that day. 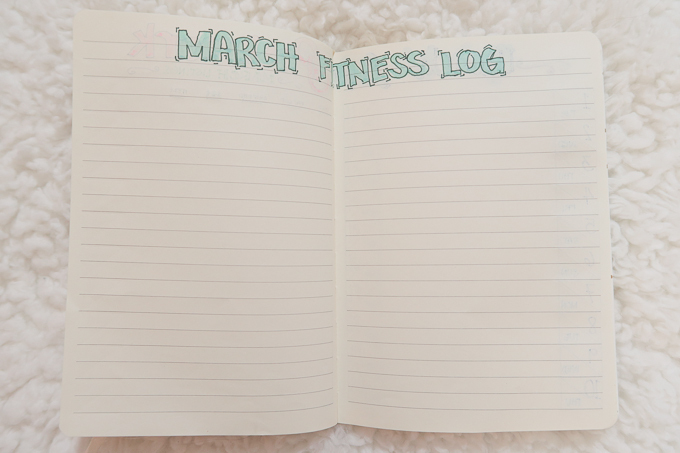 It'll be nice to fill-up the pages for this month to show that I actually worked out ;). The gratitude log is one of my favorite spread in my bullet journal. Like I mentioned earlier, I started keeping a gratitude notebook last November where I'd write down things I'm thankful for or made me happy that day. 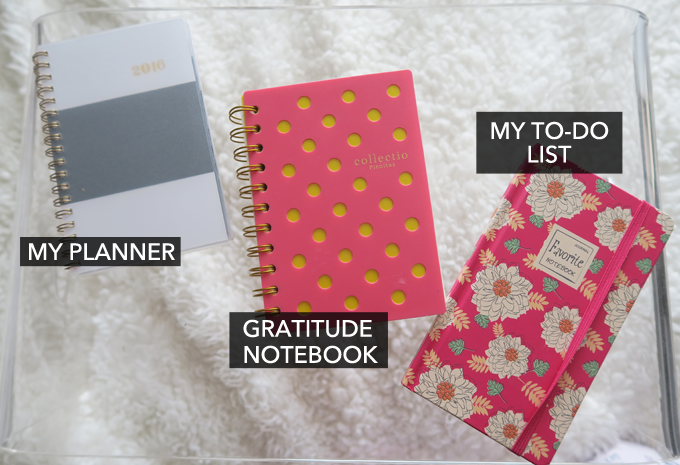 I used to write either one to ten things that I'm grateful for that day in my old notebook, but I've narrowed it down to my top four things on my bullet journal. Sometimes, we tend to focus on what we don't have instead of what already have in our lives. This gratitude log is a great reminder that we are blessed in more ways than one. This is a new addition in my bullet journal. I saw this hack on Boho Berry and decided to give it a try. This would be a snapshot of what I need to do for the week. Sometimes it helps to see what's coming up in the next few days, so I can plan for my days a little better. I'll report back if this is something that I'd implement in the future weeks in my bullet journal. I hope this has inspired you to start your own bullet journal. Let me know on the comment section down below your thoughts or any hacks that you'd like to share. Absolutely love the idea of these journals, they look so individual and creative! This is pretty cool. I really like this idea of bullet journaling. I really like your setup. Thanks so much for showing how you do it.